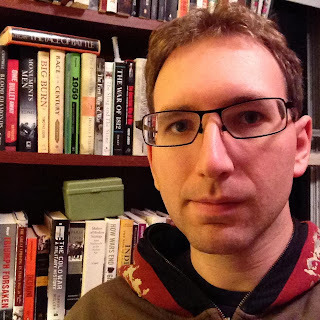 Q] Thank you for this opportunity and welcome to Fantasy Book Critic. Could you tell us about the inception of this anthology and how did the both of you come together for this project? Andrew Liptak: Thanks for having us! Jaym and I attended ReaderCon in 2012, and had met up at the bar in an impromptu SF Signal meetup. 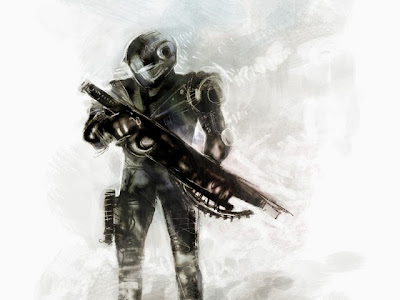 While we were talking about anthologies, Jaym said something about wanting to do another book, and I mentioned something about wanting to do something with military science fiction. We both starting talking very quickly at each other after that, and after the convention, laid out a plan, some dream authors (most of whom were highly interested! ), and started getting to work. Jaym Gates: Pretty much what Andrew said. I'd already been pondering a military SF anthology when Andrew and I started talking, based on a conversation I'd had with my boyfriend the year before. When he expressed interest, it was just like the stars aligned, letting us work on a project we were both passionate about. Q] Can you tell us about the lineup of stories assembled in this anthology? How did you go about parsing through the stories for the collection? AL: The stories that we've accepted so far are really fantastic. We knew early on that we didn't want to go with the usual sort of bug-hunt or typical military SF stories that have come after Starship Troopers, but we wanted something that was more relevant to the experiences of the last couple of decades. JG: We're actually still accepting slush, so there are a lot of stories we're pondering, a few we still have to read, and a whole bunch more promised to us. But what we're looking for is stories that tap into the psyche of those affected by war, the things soldiers would talk about around a campfire at night, or mothers would hand down to their children. Other than that, it's a diverse, eclectic, widely-ranged set of stories already, and I'm really looking forward to seeing what we end up with. Q] This question is for you both, what were your inspirations for this anthology? AL: Well, since 1989, the world has changed quite a bit: the Soviet Union collapsed, and with it, a major source of conflict in the world. Since that collapse, there’s been some radical changes in how we approach warfare and how it’s structured. It’s no longer only largely in the hands of rational national players, but unaffiliated groups not bound by boundaries. We’ve seen conflict flare up in smaller battles (think Somalia), and much larger ones (Afghanistan), which has put soldiers in very new situations. It’s this experience that has largely defined Iraq and Afghanistan, and it’s led to an entirely new generation of veterans who are working to live with the experiences that they've gone through, as well as entire populations of civilians and the public at large. It raises questions like: how do we now cope with war? How do we fight war? How do we live when we return home? These are all important questions that I think we’re all looking for answers on, and I think that some of the stories here provide some inspiration for them. One of the things he mentioned was that he was trying to get into fantasy and SF, but was having trouble finding fiction that he could identify with, particularly from the mental and emotional standpoint. About 0.0000002 milliseconds later, an anthology idea was born. I blame him. Q] On your blog you mentioned these lines “Military SF is an important conduit for readers: there’s a real lack of understanding between the military and civilian worlds”. Can you elucidate on it? AL: There’s a growing gap between the military and civilian worlds. Fantasy author Myke Cole is a currently serving reservist, and he’s got a unique perspective on this. Since 1973, the United States has utilized an all-volunteer military, which limits the exposure that the general public has to the military lifestyle. I’m not advocating for a return to a draft, but I think that there are points where it forced a certain understanding of what military service entailed on the general public. Military families tend to cluster together, and civilians don’t tend to interact with them as much. From my experience, I see a lot of people have opinions on how the military operates or should operate, but it’s typically an opinion without a lot of depth of knowledge behind it, with a lot of assumptions built in. The reality tends to be quite a bit different, and often, far more complicated. JG: What Andrew said, in part. But to expand on that...we have been at war in the Middle East for twelve years now. Soldiers who went into that war young are now approaching middle age. But there's this gap between this conflict and the general first-world citizen. Unless a family member or friend is actually in the military or living in a war zone, most of us don't understand what a significant portion of the world population is going through. The closest most people get is a video game, or a news bite. The result is that thousands of soldiers are returning to a world that has essentially moved on without them. They are expected to throw off the last few years, move back into civilian life, and forget everything they've experienced, without much support from military or civilian sectors. And we have the highest veteran suicide rate in recorded history. We also have immigrants with the scars of war-torn homelands still haunting them, Americans with family and homes in warzones, and, always, those who have lost a loved one to war. I know an anthology can't do much, but goddammit, if I can do a little bit to open people's eyes to the very real struggles going on in the people around us, then it's worth it. Q] Please tell us about the stellar line-up of authors that are a part of this anthology & what was it about them that attracted you? AL: Right now, we’ve announced Joe Haldeman, Keith Brooke, Maurice Broaddus, Jake Kerr, Rich Larson, Yoon Ha Lee, Ken Liu, Karin Lowachee, T.C. McCarthy, Linda Nagata, Mike Sizemore, Janine Spendlove and James L. Sutter. Haldeman and Brooke's stories are both reprints, stories that tell very different viewpoints on war, and I think that they'll bookend the anthology nicely. Kerr and Sutter's stories came to me through slush on another anthology project, and fortunately, they hadn't sold them elsewhere yet. I've been a fan of Lee, Liu, and Lowachee's stories for quite some time, and I knew that they'd be able to provide an interesting and different take on warfare, which is exactly what we were hoping for. McCarthy and Nagata are both known for their military SF, Spendlove is a serving Marine and Larson, Sizemore came to us in slush, and knocked our socks off. We've got some other authors in the pipeline that we're eager to announce another round of authors at some point in the near future. We've also opened up to slush (we're taking submissions now, through November 30th), because as many authors as we've invited to submit, there's always that one story that'll come in from nowhere and impress us. JG: Yeah, Andrew emailed me when Larson's story came in, and was like “You've got to read this now.” That's the best part of an anthology, in my opinion: that moment when you find a voice that's new to you. Even better if it's a voice that's new to the industry. My favorite career moments are when I see my debut authors from my first anthology, Rigor Amortis, announcing these amazing sales and accomplishments. That sense of discovery is just amazing. Q] What would you both consider essential reading in military SF? AL: Heinlein’s Starship Troopers, Haldeman’s Forever War and Card’s Ender’s Game are the trifecta for me. They’re compelling, controversial, and interesting reads. There’s others, though. Karin Traviss’s Wess’har Wars series is astonishingly good, as well as Nancy Kress’ Probability trilogy. Adam Robert’s New Model Army, David J. Williams’ Autumn Rain trilogy and Myke Cole’s Shadow Ops series are also quite compelling. JG: So, half of my library is in storage, and I'm awful at remembering titles on demand, but I think the most impressive MSF recently has been short stories. Lightspeed, Fantasy & Science Fiction, and the Warriors anthologies have some great examples, as well as all of John Joseph Adams' Armored. AL: I think that we’re going to have a collection of stories that show a more modern face to warfare. I often feel as though Military SF is caught up in the 1950s and 1960s, and that this will help tell some stories that readers will find relevant today. There’s also a lot of variety to what we've accepted thus far, which I think is good in any anthology. I’m also hoping that this will challenge some of the perceptions there are about military fiction. The sub-genre is one that’s easy to characterize, but I think that it’s also the one that can really surprise and challenge readers. Q] Will this anthology be a one-time thing or is there a possibility for it becoming a series perhaps exploring further exploring different aspects of this sub-genre? AL: There’s no plan for a series at this point, as we need to get this one funded, assembled and published first! That being said, I’d be interested in seeing how this one is received by audiences. We've received over 300,000 words in submissions to date, so there’s no shortage of stories out there in this genre. We do have ideas of where to go next. JG: Yeah, this has already been a great project. I'd love to do more. Q] In closing, are there any last thoughts or comments you’d like to share with our readers? AL: I’m excited about sharing the stories that we do have. I've gotten chills from every single one that we've accepted, and I hope that our readers will as well. Support the kickstarter! We've got some cool options for backers including a limited hardcover run and some tuckerizations still available. 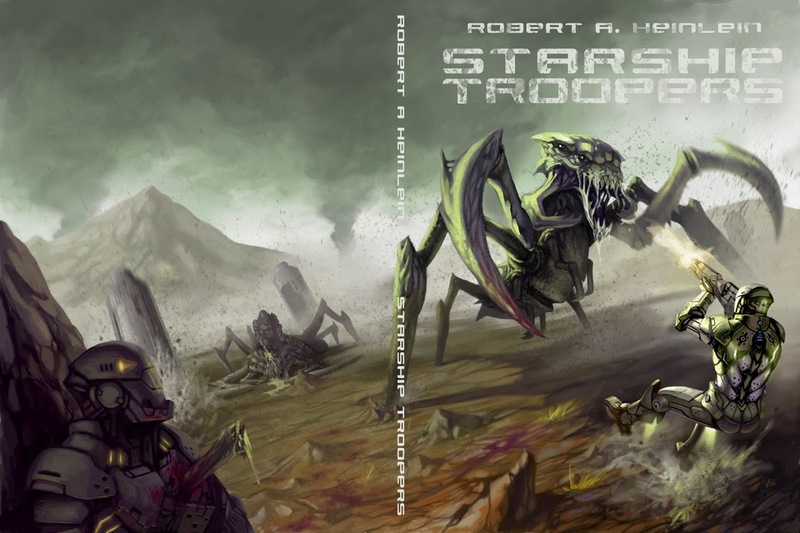 NOTE: Starship Troopers cover art via iO9. Andrew Liptak & Jaym Gates pictures courtesy themselves. Truly the perception of participating in war has changed greatly and SF has always had a key role in confronting uncomfortable issues. 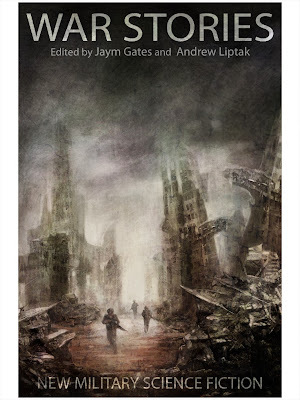 I'm glad given our experiences in Afghanistan/ Iraq/ Libya and now with Syria that Jaym is putting together a current Military SF anthology. I do hope to see some serious character-driven work that pushes the boundary of the issues around the use of tech and the effects of war on (near or far future) combatants. An anthology not to miss!